Festive Autumn Chocolate Cupcakes With Sugar Pumpkin For Decoration. Lizenzfreie Fotos, Bilder Und Stock Fotografie. Image 114070565. 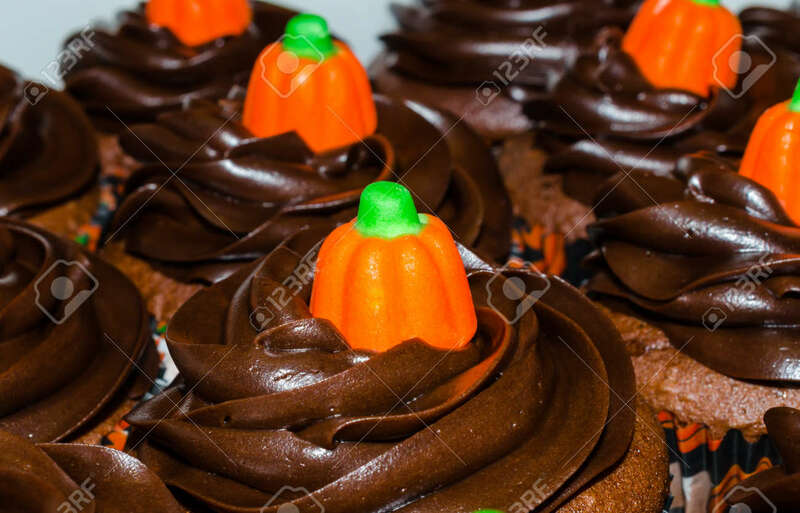 Standard-Bild - Festive autumn chocolate cupcakes with sugar pumpkin for decoration. Festive autumn chocolate cupcakes with sugar pumpkin for decoration.